Academician Yury Dmitrievich Tsvetkov is the scientist with the world name, outstanding specialist in radiospectroscopy, the large expert in the field of chemical physics. Yury Dmitrievich together with the other famous scientists-academicians (Y.Molin, V.Kazansky, K.Zamaraev who have untimely died) was the disciple of academician V.V.Voevodskii. His main scientific activity is related to the development of the methods in chemical radiospectroscopy and on their basis, studying a structure and properties of active intermediate particles and mechanisms of chemical reactions. He designs new methods of chemical radiospectroscopy to study electron-nuclear and electron-electronic interactions of free radicals, the use of which is made in many laboratories of the world. His works describe the structure, the properties, and reactions of radicals and of radical ions that originate under the effect of radiation in various classes of compounds, namely, polymers, acids, amino acids, and peptides, and also develop the concepts on the mechanism of radiolysis of these compounds. 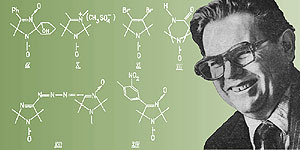 Under Y.D.Tsvetkov's supervision, a new evidence on the structure of traps for electrons, atoms, and radicals in the irradiated matrices, on the structure of solvation shells for certain organic radicals and about interactions of radicals and atoms with solid adsorbents have been obtained; spatial distribution of radicals and track effects in the various irradiated materials have been studied. His school of pulse methods in EPR that dates back to 1970s has brought up many disciples, who are working nowadays throughout the Russia. Devices and procedures worked out under his management were so unique that even in that time long ago, the colleagues from the United States, the Netherlands, and DDR came to him for the joint research. Currently, the methods developed by him are now in even more frequent use in the studies of structure and dynamics of the complex biological objects. In particular, Y.D.Tsvetkov has discovered and thoroughly studied the multi-purpose libratory type of molecular motion in biomembranes, and he studied the conformational structure and aggregation of the spin-marked membrane-modifying proteins. 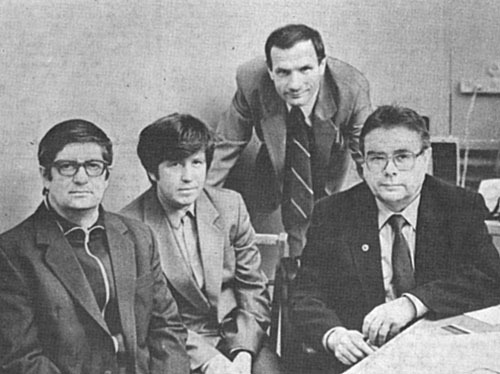 Y.D.Tsvetkov constantly conducts a large scientific-and-organizational work. Since 1993, over the course of 10 years, he was a director of the Institute of chemical kinetics and combustion, and since 1983 to 1992, he was the principal scientific secretary of the Presidium of the Siberian branch of RAS. He is the member of editorial boards of some russian and international magazines. Y.D.Tsvetkov is the author of more than 300 scientific works. He has prepared 16 candidates and 3 doctors of sciences. Y.D.Tsvetkov's merits have been honoured by the high government awards that included the Honour Badge and order of People Friendship. He is the winner of the State premium of the USSR in the field of science and technology. The international society of spectroscopy of electronic paramagnetic resonance has elected him to be the chairman. * Sources: 1) YUrii Dmitriyevich TSvyetkov: k syemidyesyatilyetiyu so dnya rozhdyeniya // Izvyestiya Akadyemii nauk. Syer. khim. - 2003. - N 19. - C.IX. 2) Akadyemiku YUriyu TSvyetkovu - 70 lyet // Nauka v Sibiri. - 2003. - N 19. - S.3. Dokumyent izmyenyen: Wed Feb 27 14:46:52 2019. Razmyer: 9,701 bytes.